Recording everything that happens in a meeting can be difficult. A limiting factor can be typing speed, but sometimes words just aren't enough. 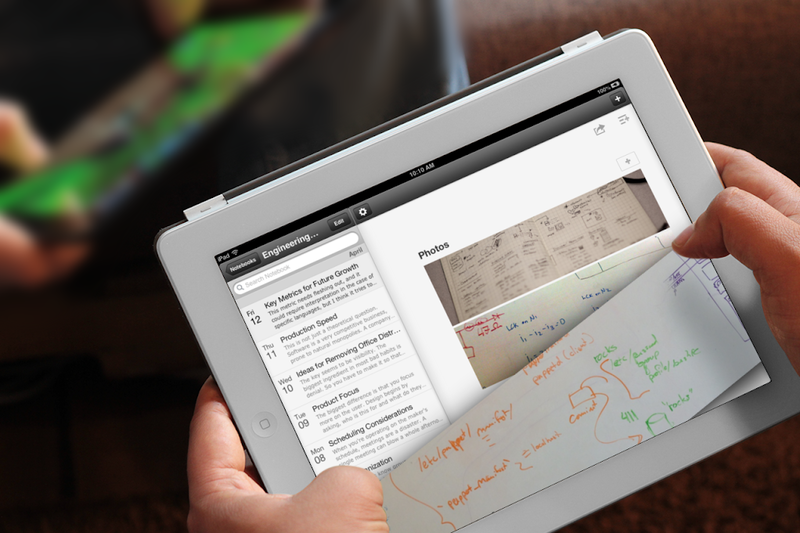 The next version of Meetings for iPad introduces photo support that's ideal for capturing whiteboard sketches, hand-written notes, and slides. This should be available for everyone running iOS 6 in about a week.